Windsor (named after his birth place) arrived 13 1/2 years ago. He was a cute, gentle chocolate lab/chessie mix with a white star on his chest. My 5-yr old picked him from the liter and we all agreed he was the one for our family. Windsor was a kind loving soul. He loved his family and readily allowed the kids to pull his ears, tail and hang all over him without a complaint. His obsession was ball, water and food. What do you expect, he was a lab! He was a great family dog. In the winter he pulled us around on sled and skis and in the summer he was always up for a hike, a round of ball or a trip to the river. Sometimes, his enthusiasm and stubbornness kept us longer at the river. I learned quick to always bring treats as a lure. During the past year, Windsor began to show his age. His eyes were clouding over, his hearing wasn’t quite what it used to be and his hips became arthritic and painful to move. Our long mountain hikes began to dwindle. 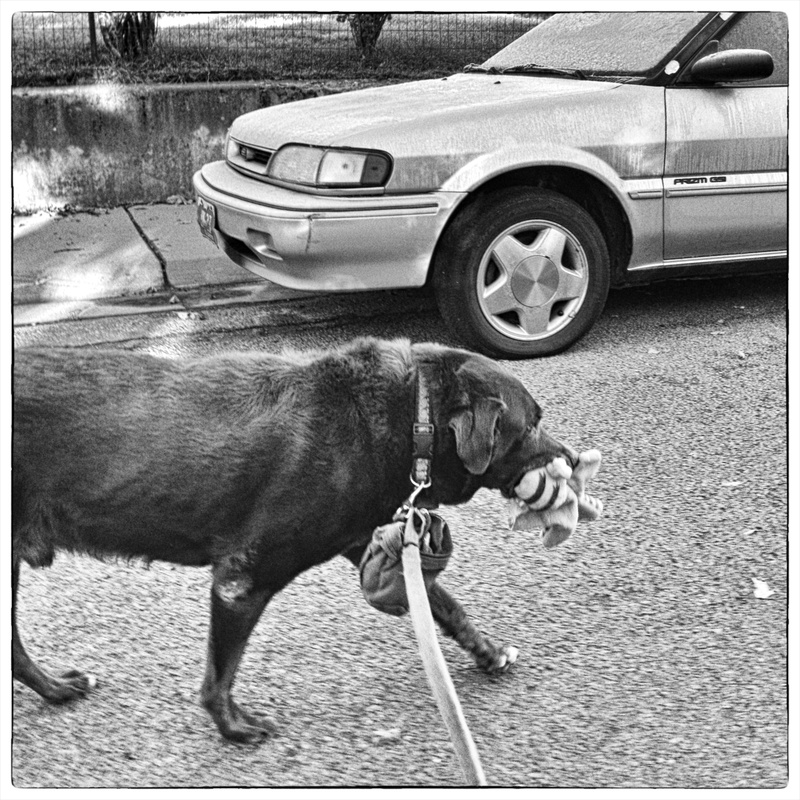 He always rallied for a trip to the river or for ball or for food. Yet his energy was growing heavy. This fall we experienced heavy rains and lots of flooding. Local trails were closed to severe erosion and our walks were shortened and confined to the hood. Slowly the dogs strolled, sniffing and peeing along the way. As they explored their sensory domains; I took photos of wilt and decay. Flowers drooped heavy with water and leaves piled up along the road margins. The days were growing short and nature was preparing for winter. I knew I was beginning the process of walking my dog home. In February, I knew it was time. Windsor rallied on a cold blustery sunday. We took short hikes, played fetch with his stuffies (no longer balls). He ate lots of treats and got lots of love. My son away at college skyped on the iPad and Windsor seemed to know. We said our last farewells and he joyfully greeted the vet, chewed a bully stick and went to sleep. He passed a happy boy! Come summer, when the family is together, we will reunite Windsor with that river he so loved!